Tablet market in India is primarily captured by Micromax as they produce low-cost cheap and affordable tablets. In the begining, chinese tablets flooded Indian markets and soon companies like Micromax, Karboon took hint from the growing demand of reliable and low-cost android tablets and started capturing the market. 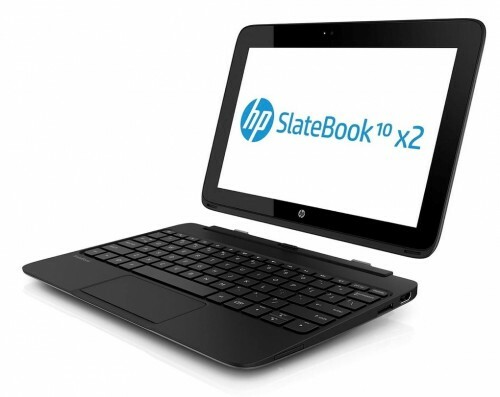 In this post, we’re listing top tablets which sell at price of about Rs.4000-Rs.6000 i.e. about Rs.5000. The prices of these tablets listed below vary from retailers as well as online shopping portals. If you’re smart enough, you can always search for discount coupon codes before making purchase to get the desired tablet at the best price. Most of the specifications of these tablets are the same with minor differences in battery capacity, size, weight, camera quality. 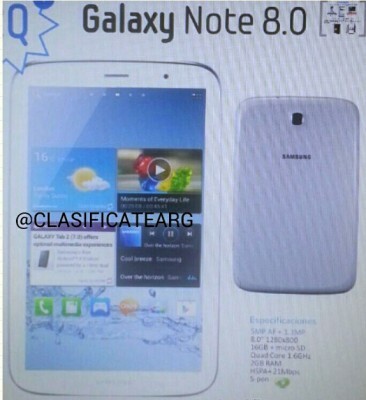 None of the tablets listed below have sim-card slot. To access internet on these tablets, you either need to use WiFi or supported compatible USB dongle (Not all datacards are supported). Screen resolution of all these budget tablets are 480*800. 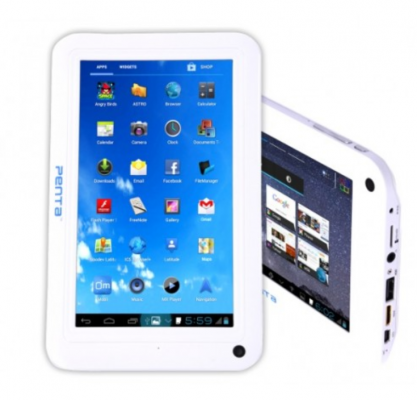 All these tablets have capacitive display which is better than resistive display. The main difference between the two types of display is that you can use your finger to work on capacitive display whereas in resistive display, you need to use stylus or tap harder with your finger. So, capacitive touchscreen is much more finger friendly than resistive touchscreen. Note: The prices of these tablets listed below are estimate, not exact value. By using discount coupon codes online, you can get it cheaper or by bargaining when you purchase it from local markets. 4GB internal memory (user-available storage is less). Support for external micro-sd card. 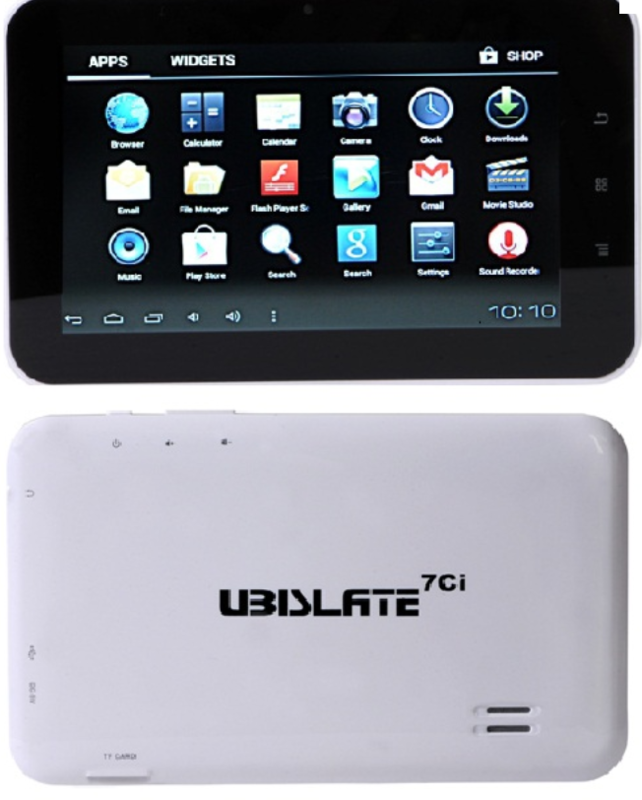 The price of Ubislate 7ci is Rs.4,499. 4GB internal storage (User-available is about 2.5 GB). Support for external memory card. The price of Karbonn Smart Tab 3 Blade is around Rs.5000, but you can get it for about Rs.4,500 as well using discount coupon codes when buying online or bargaining when buying from retail stores offline. This tablet has also been highly popular. The specifications of Micromax funbook alpha tablet is also almost similar to other low-cost tablets listed here. 4GB inbuilt storage with support for external memory card. 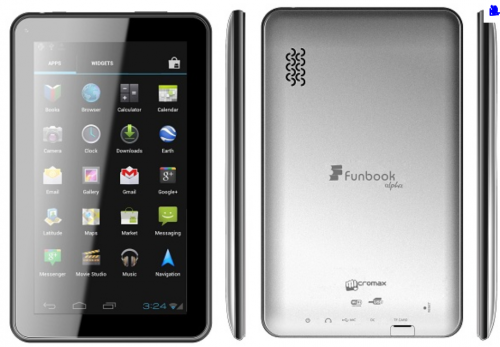 The price of Micromax Funbook Alpha is about Rs.5,500. The price of BSNL Penta Tablet is about Rs.4000. You may even get it cheaper. If you’ve any questions or confusion, feel free to ask us via comments below. We’ll surely help you. These tablets give you battery backup of about 5 hours on average. Furthermore, you can easily use these tablets to light web browsing and gaming. Nonetheless, these serve as good e-book reader for reading your favorite novels at bedtime. Moreover, you can gift these tablets to your kid as well. Just watch the embedded video above to get a hint of user experience on these low-cost cheap budget android tablets because most of the tablets are similar in specifications. You can just visit any online shopping website (like snapdeal, flipkart, ebay, etc..)to get the current price of these tablets as the price and availability change often..
bluetooth is present in bsnlpenta is701c or not ? please tell me diff betqween is701c and is709c…and which 1 is the latest and best features,,,,please please i am confused between these two tabs…and also provide bsnl penta contact service centre number. I hope the info helped you! 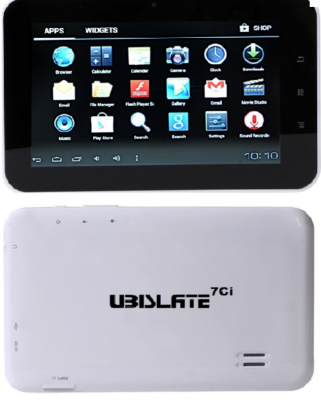 datawind 7cs ubislate,datawind 7 ci ubislate,simmtronics xpad x720 or wespro capacitive tab.or any other brand according 2 ur recommendations.